We accept submissions through Filmfreeway, Withoutabox & Festhome. Webseries - 1-20 min. See more rules when submitting online. Student Film (Short) 3-30 minutes. Student Film (Feature) 45 - 135 minutes. Films that have previously aired on US television prior to the Festival, or are available for continuous online viewing in their entirety are NOT eligible. All films as well as screenplays must be completed no earlier than 2014. SUBMITTERS, IF YOUR FILM(S) IS SELECTED, YOU'LL RECEIVE TWO (2) FREE FILM SCREENING PASSES FOR SATURDAY & SUNDAY SCREENINGS! 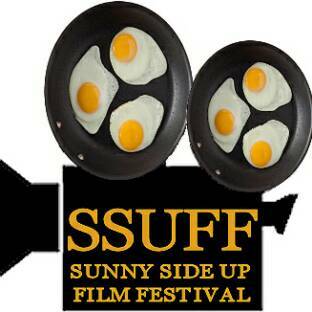 This does not include other special events that may occur with or during the SSUFF. If selected, do finalists win a pass? Yes. They'll win two TWBFF passes allowing access to Sunday's film festival screenings and the Award Show. This does NOT include Saturday's film screenings. Is there a PRIZE for Finalist or Winners? Yes, trophies, awards, etc. Are there qualifications for scripts? No. All genres are accepted. Format: All entries must be written in English and submitted as a PDF file less than 5 MB, size 12 Courier font, standard industry format. Title of script only on title page: no author name. Pages should be numbered. MovieMagic Screenwriter, Final Draft, or Celtx are suggested software programs. All screenplays must be completed no earlier than 2013. Formatting Standards: Please format your screenplay using MovieMagic Screenwriter, Final Draft, or Celtx are suggested programs. Use 12 point Courier font. Pages must be numbered. Screenplay Submissions: We accept FilmFreeway & Withoutabox submissions.